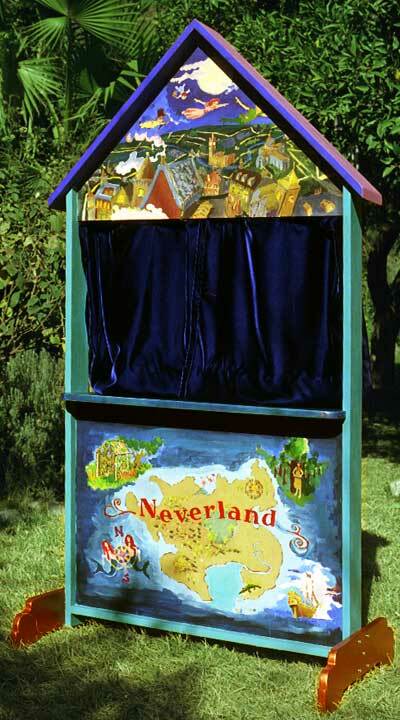 This is a prototype for an easily customizable puppet theater for young children. 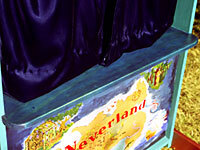 The painted panels and drape can be easily changed for different shows. 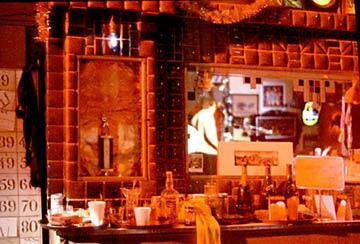 I shot this photo as we wrapped up a four day shoot at this location, a tiny crossroads, on old Route 66. 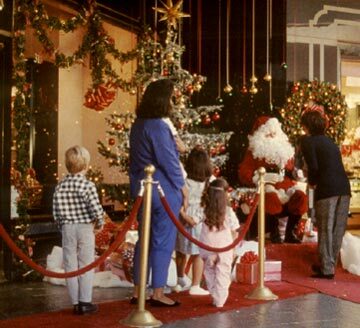 The production logistics were a great challenge--we had 24 hours to budget, design, prep and purchase materials for the job--all in Los Angeles. We sent a truck ahead with materials and brought on a crew of 14 total set dressers, painters and carpenters. The Art Department came in about $150 under budget. Film and Television Art Direction by Mike Roy. Paraflu, Fiat Automotive, Bar Songs, A Christmas True Story, Critters 4, Critters IV. Space Station Graphic Design and signage. Directed by Marcus Stevens, Peter Beiler, Erik Knorr, Paul Knotter. 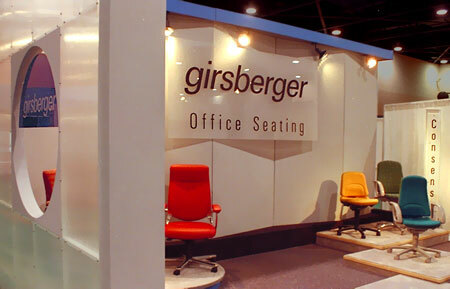 This reconfigurable trade show booth was a continuation of design work for Girsberger Seating. As with the furniture showrooms I designed for this client in New York and Los Angeles, I broke the display area up into "boutique" areas. The design prototype for the project was created as a computer animated fly-through and distributed as a flipbook. Art Direction and set construction. 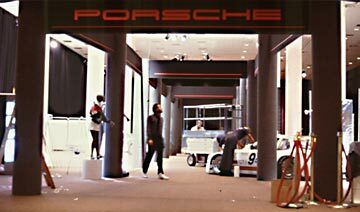 Trade show booth design and construction. Clients include Girsberger ergonomic seating, Porsche Automobiles, Mitsubishi Home Electronics, El Pollo Loco, Quicken, Quickbooks software.